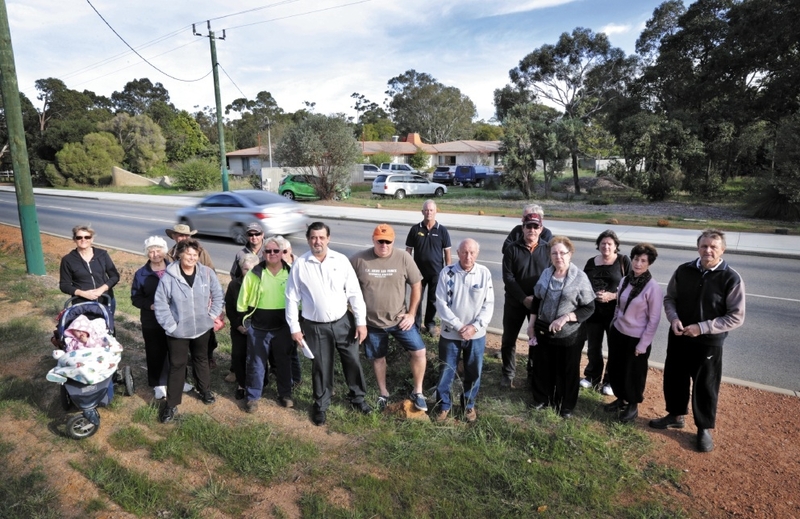 RESIDENTS in Wattle Grove say a proposal for a prayer hall on Lewis Road will undermine the rural amenity of the area and exacerbate traffic issues. Shire of Kalamunda recently received the application to change the use of a hall at 29 Lewis Road to a Muslim prayer hall for a maximum of 50 people during peak times such as Friday afternoons. Sheba Group’s application proposes a maximum of 15 to pray at sunrise, noon, sunset and 20 at night. During Ramadan up to 35 people could pray from 8pm for nearly two hours. Wattle Grove resident Kim Sinclair lives opposite the proposed prayer hall. He said peak hour traffic was already so bad he had cars backed up to his home – more than 300m away from the Welshpool Road intersection. “I’m particularly worried about the traffic and future amenity of the area,” he said. “It’s all zoned special rural here and the council recently allowed another church next door to us, and now another will go across the road, so it’s starting to feel like a religious precinct. Some residents say the Shire of Kalamunda should have been clearer in its approach and advertised the place of worship more broadly than the required 200m radius around the property. But zoning changes to allow the land to be used as a place of worship went through unnoticed in 2013, despite extensive advertising and calls for public submissions. The buildings and hall at the Lewis Road property used to be owned by the shire and were last used as an education facility several years ago. For some years the land was unused and last year it was sold to Sheba Group Pty Ltd for $1.65 million after extensive advertising. A shire spokeswoman said planning officers would review whether the council or administration would decide on the place of worship. Nearby resident Leo Coppens said he wanted the prayer hall in an appropriately zoned area. “This is the main entrance into Wattle Grove and Forrestfield. Wattle Grove is a special rural area for people to pursue rural interests,” he said.